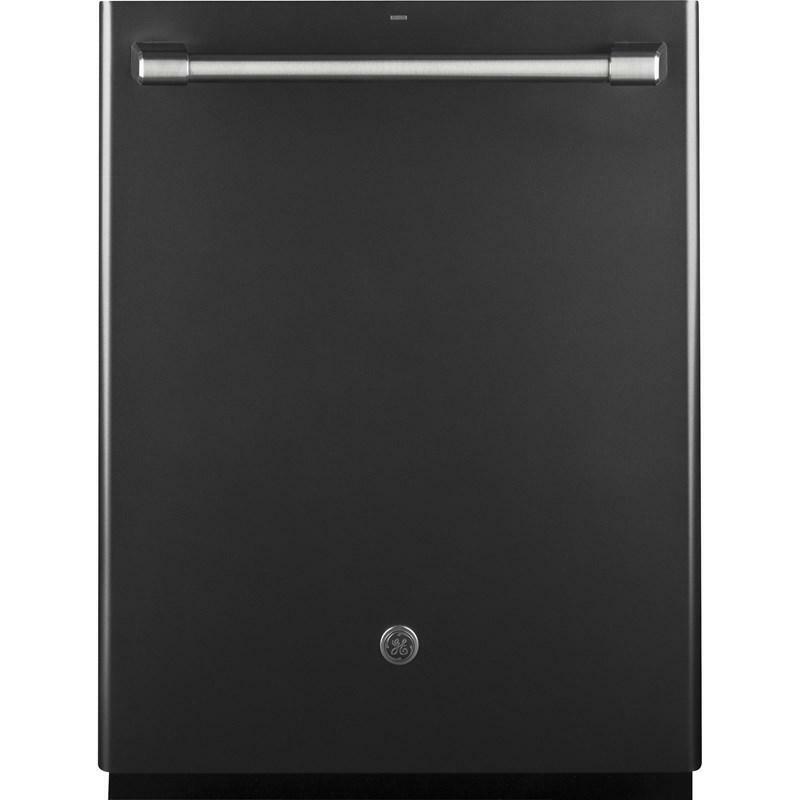 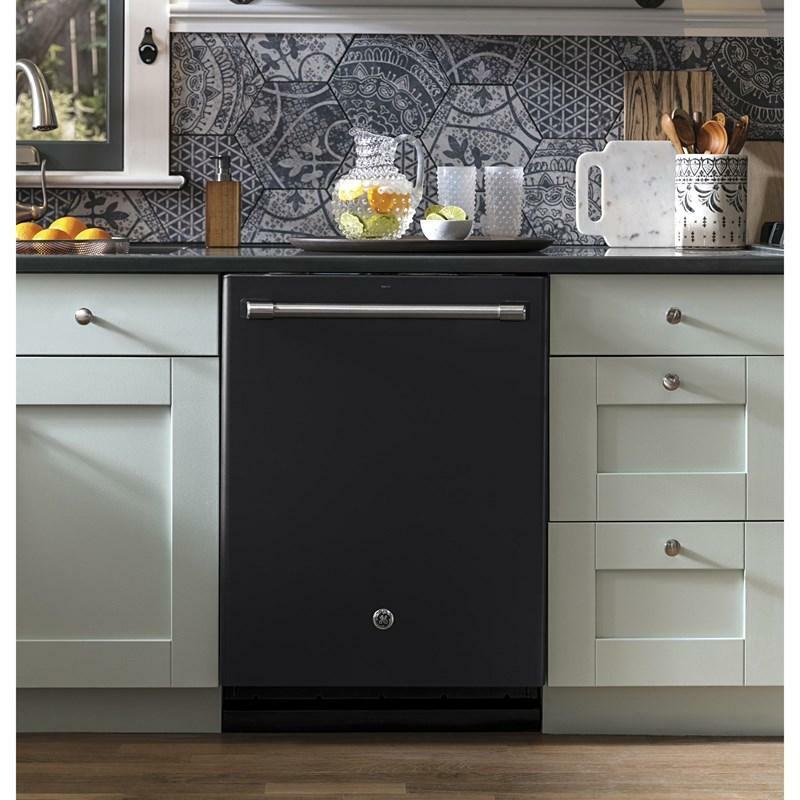 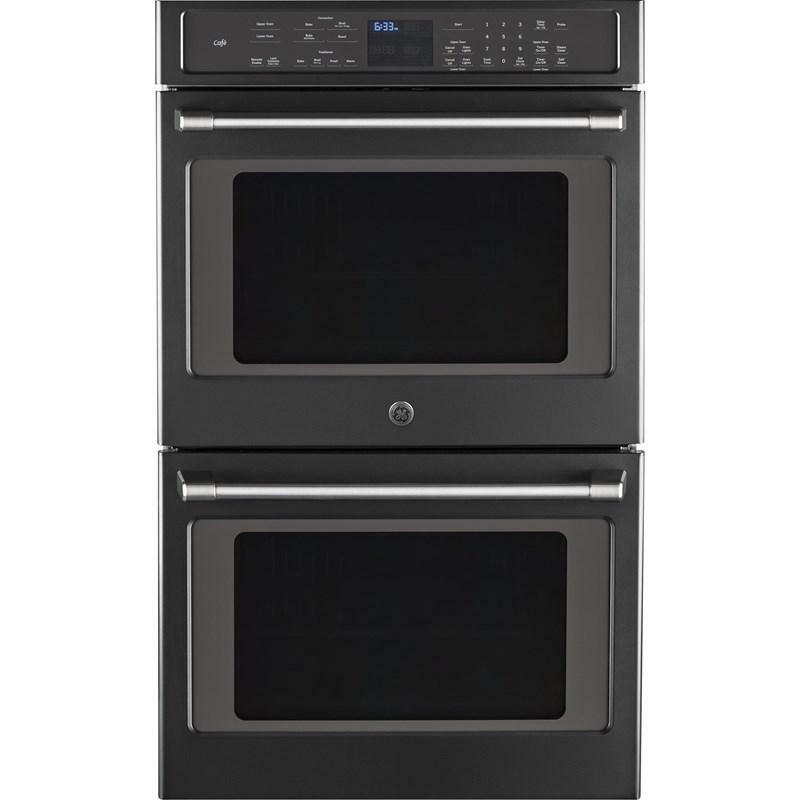 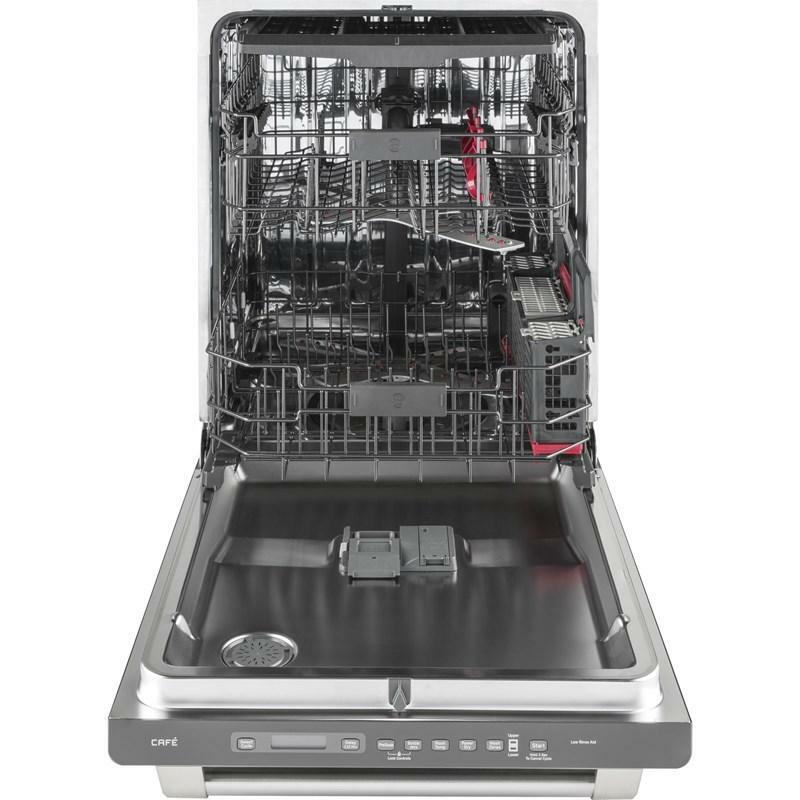 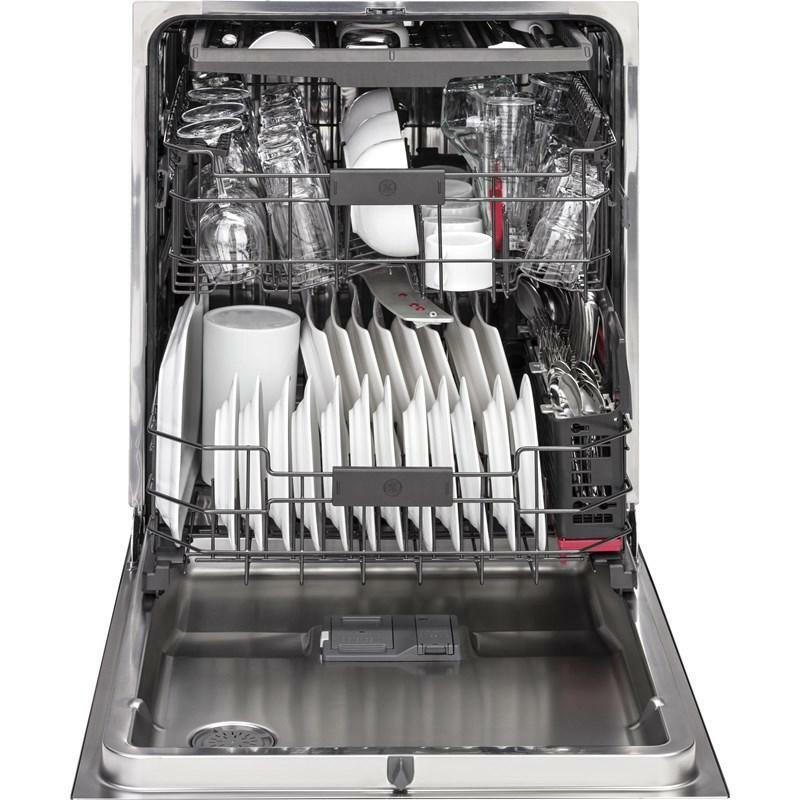 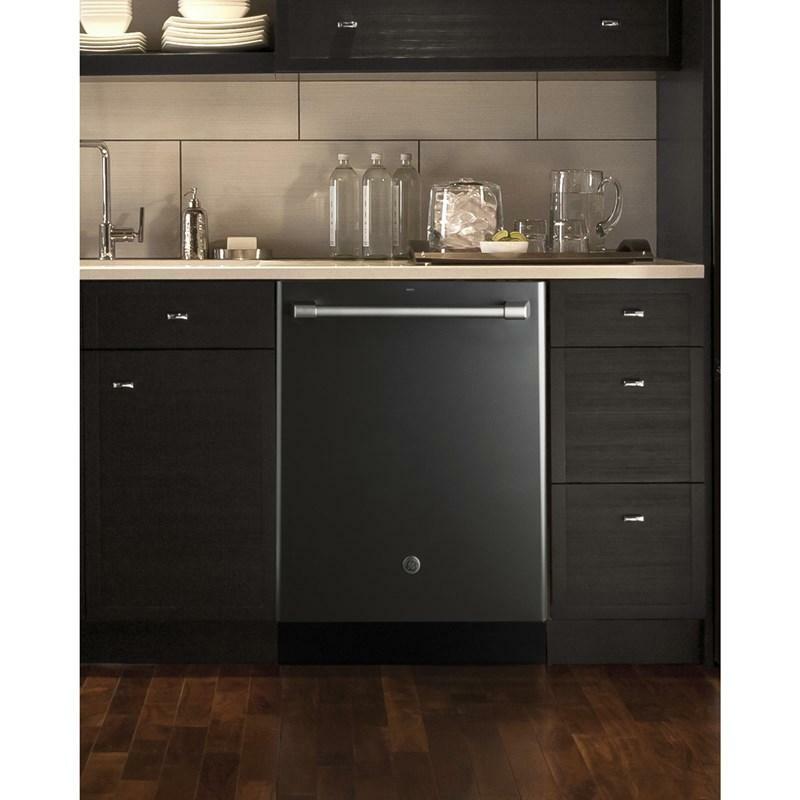 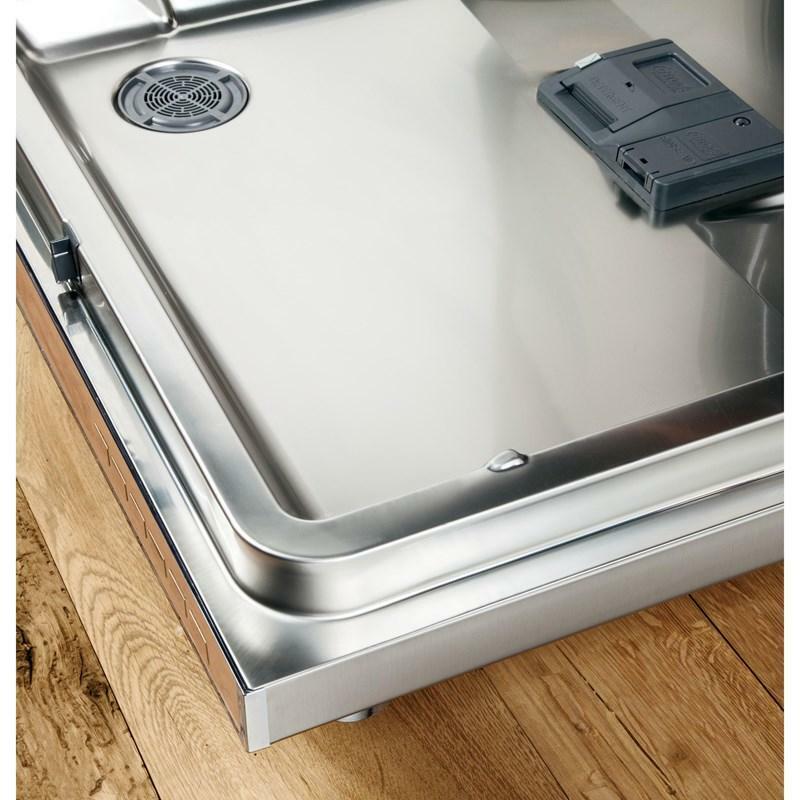 GE Café™ Series stainless steel interior 24" built-in dishwasher with hidden controls. 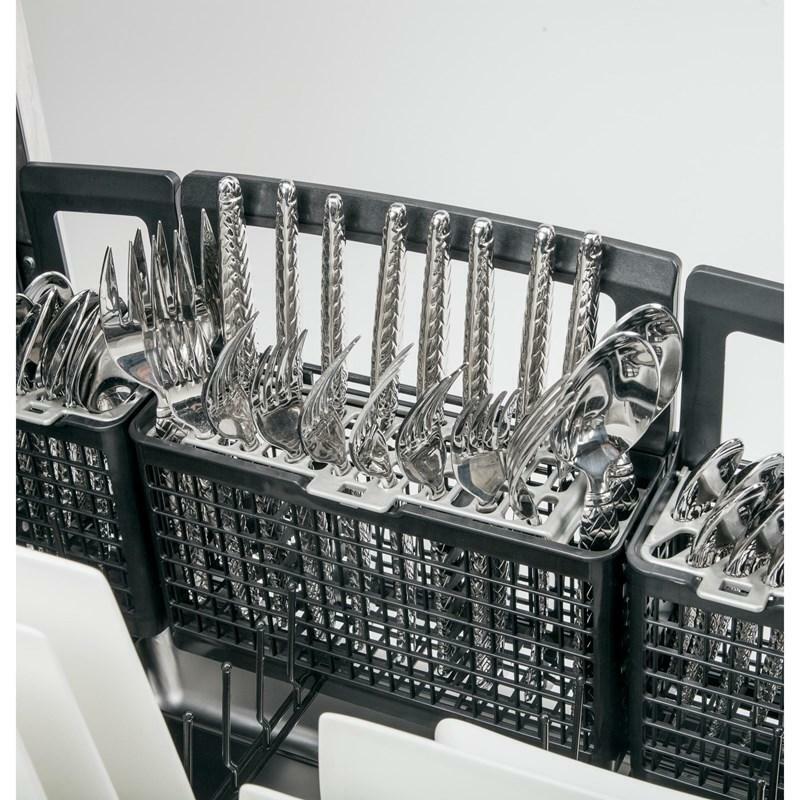 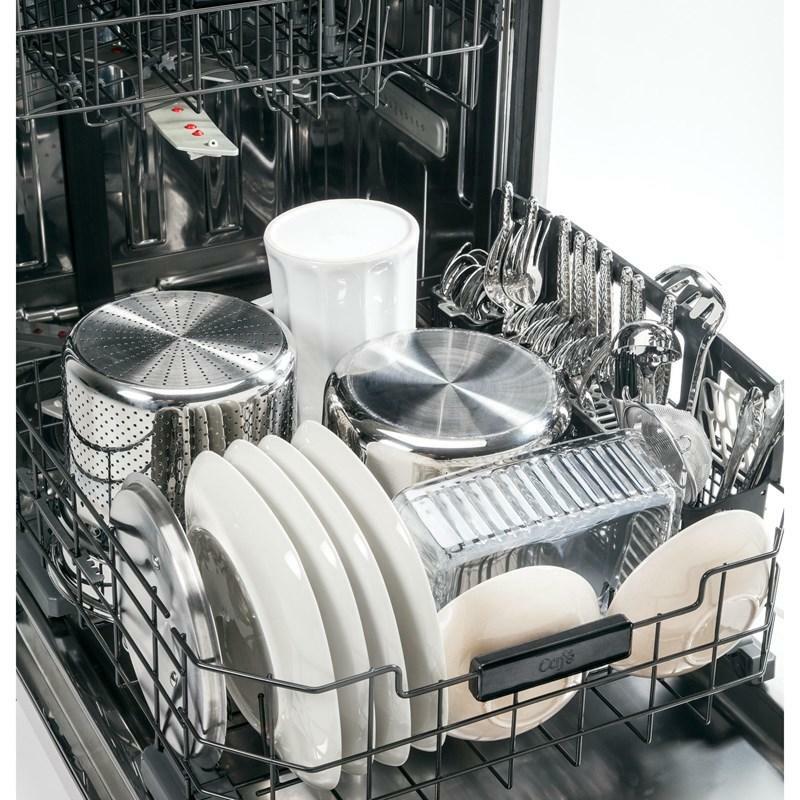 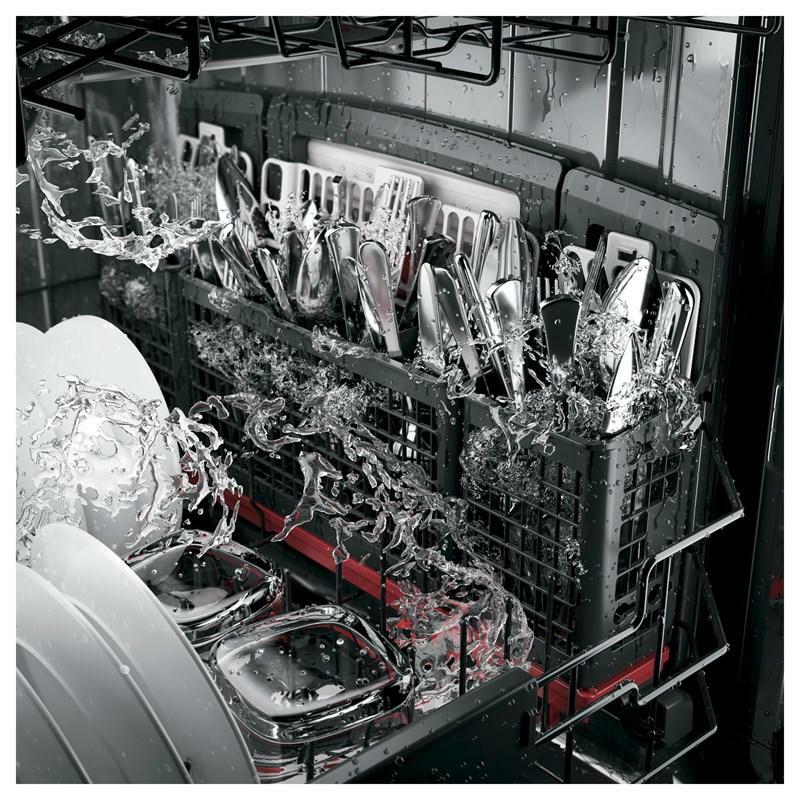 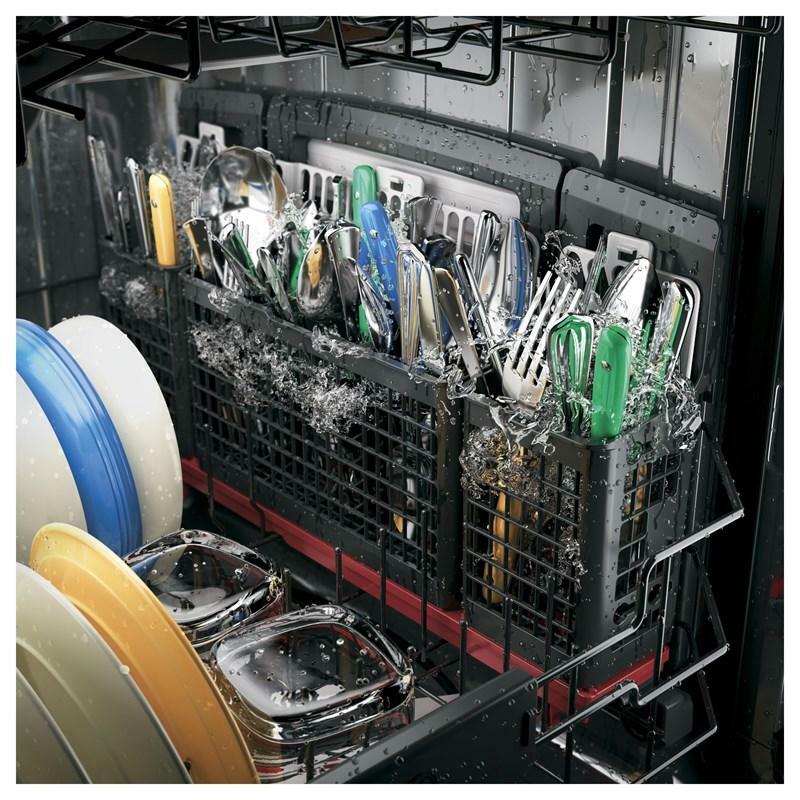 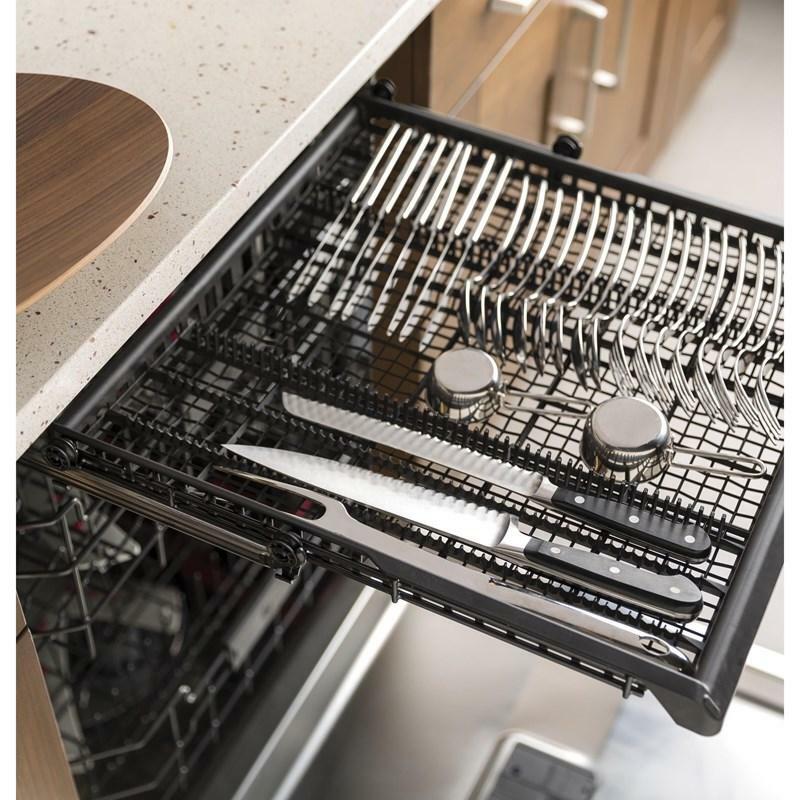 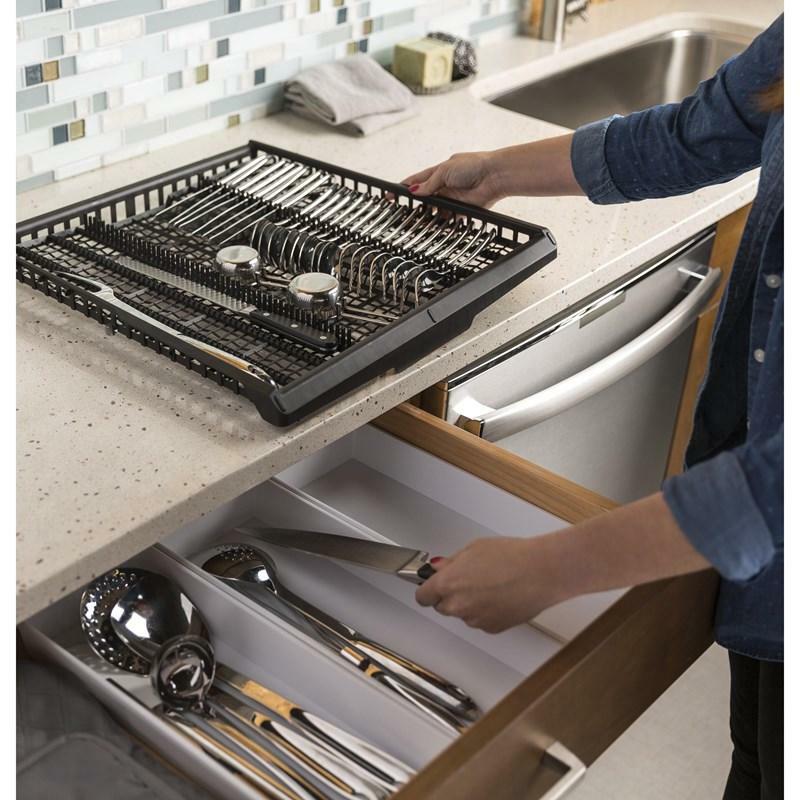 It features 4 dedicated bottle jets integrated into the upper rack and deep clean silverware jets to blast away stuck-on food for silverware that’s always spotless. 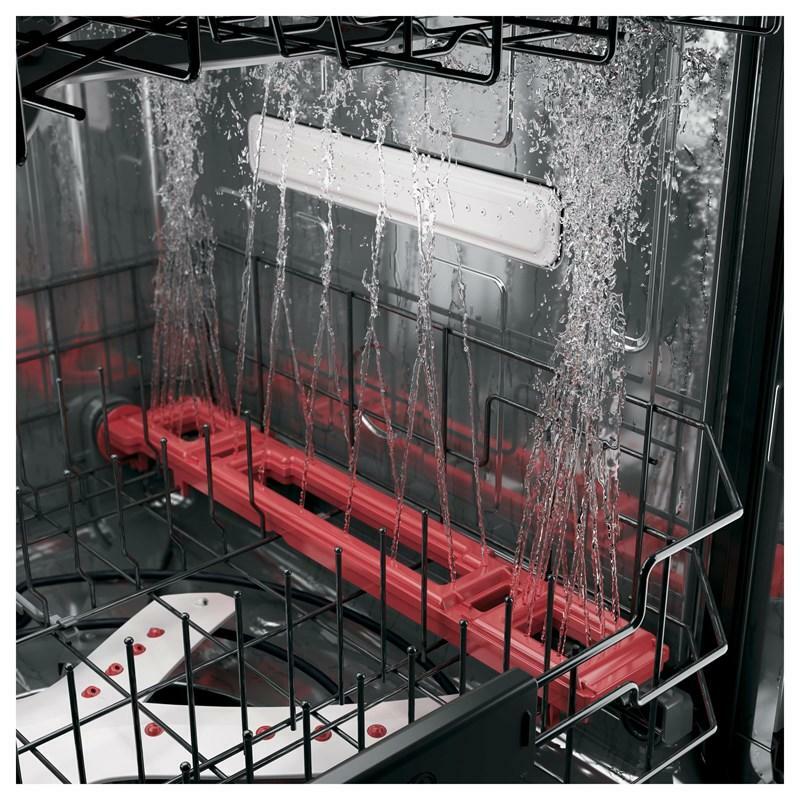 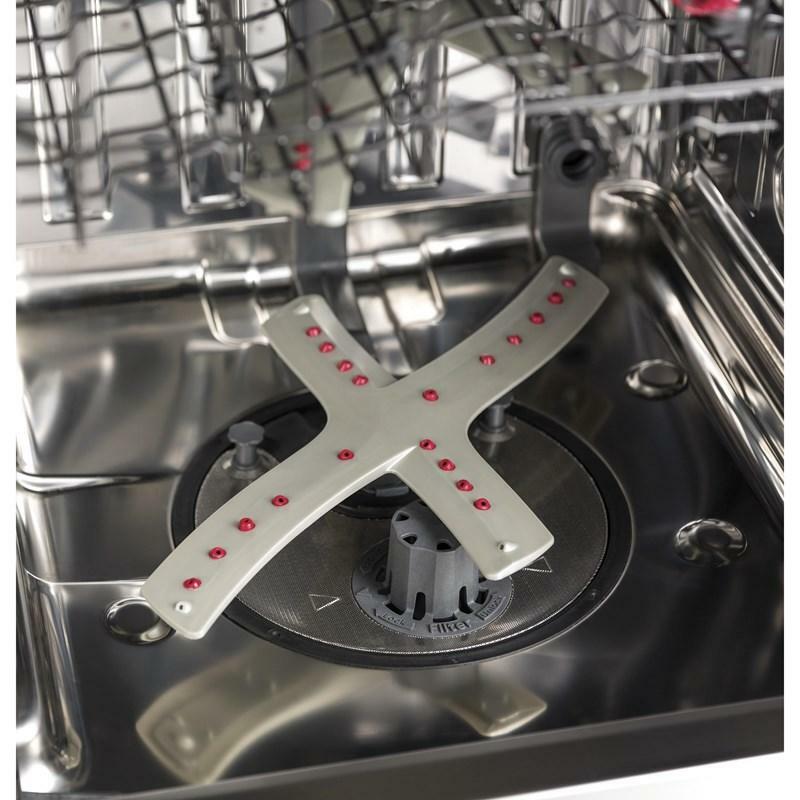 Dishes come out impressively clean thanks to this revolutionary lower wash arm, with 25 spray jets reversing direction to hit items from every angle. 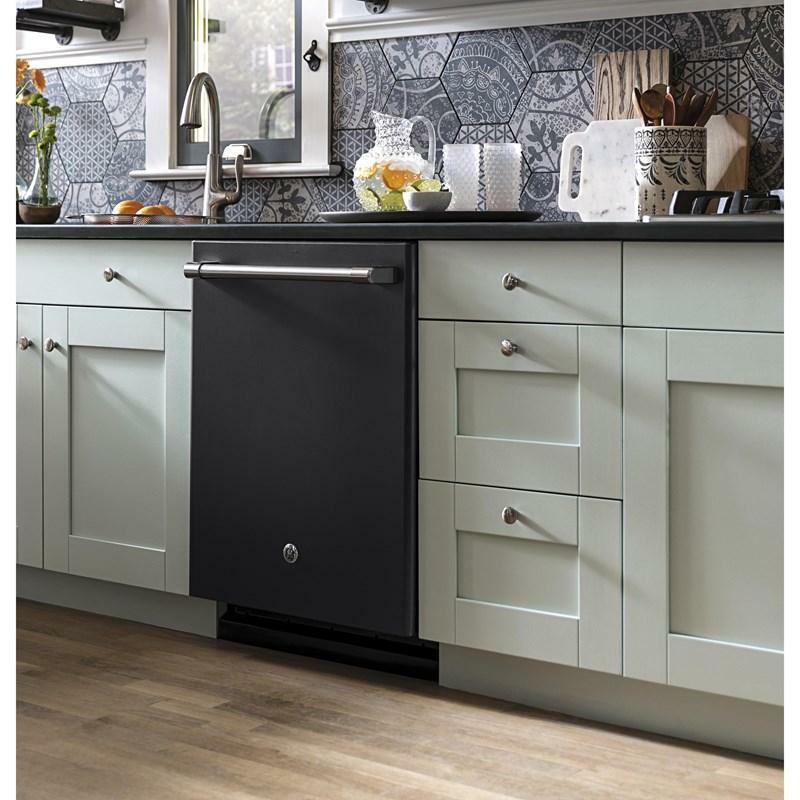 Get dry and table-ready items every time thanks to a 1,000-watt hidden heater and fan that circulates the air to remove moisture. 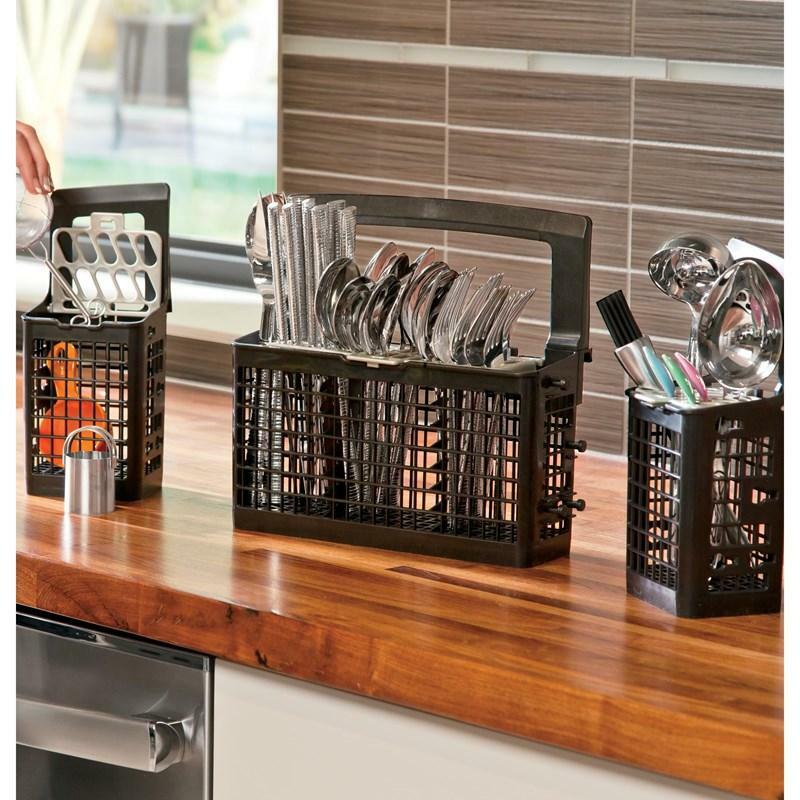 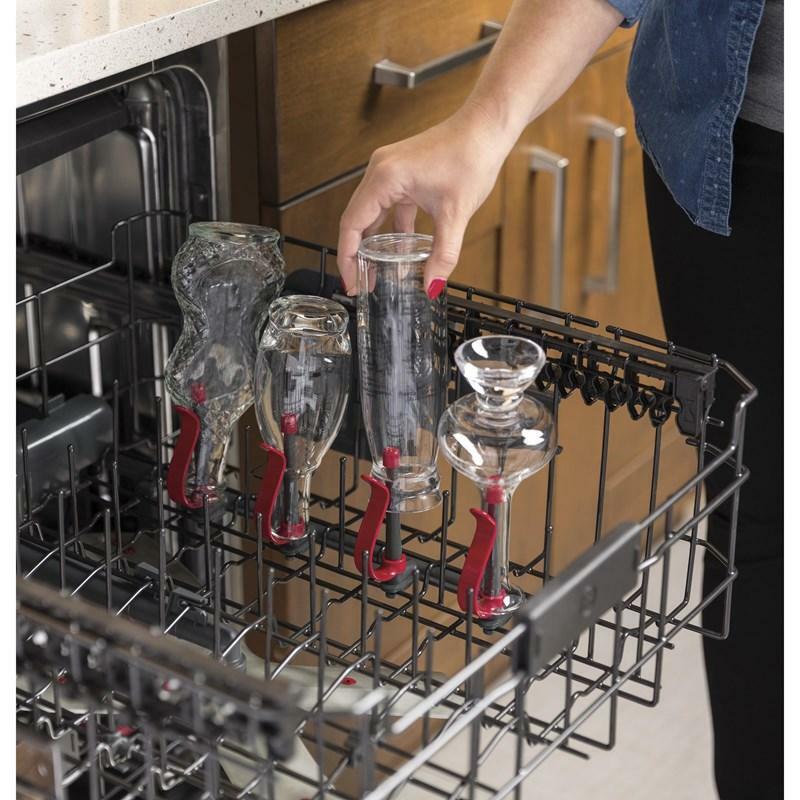 Quickly adjust the upper rack 2 inches up or down to accommodate tall glassware and 10 ½" plates with plenty of room in the bottom rack for large platters and cookie sheets. 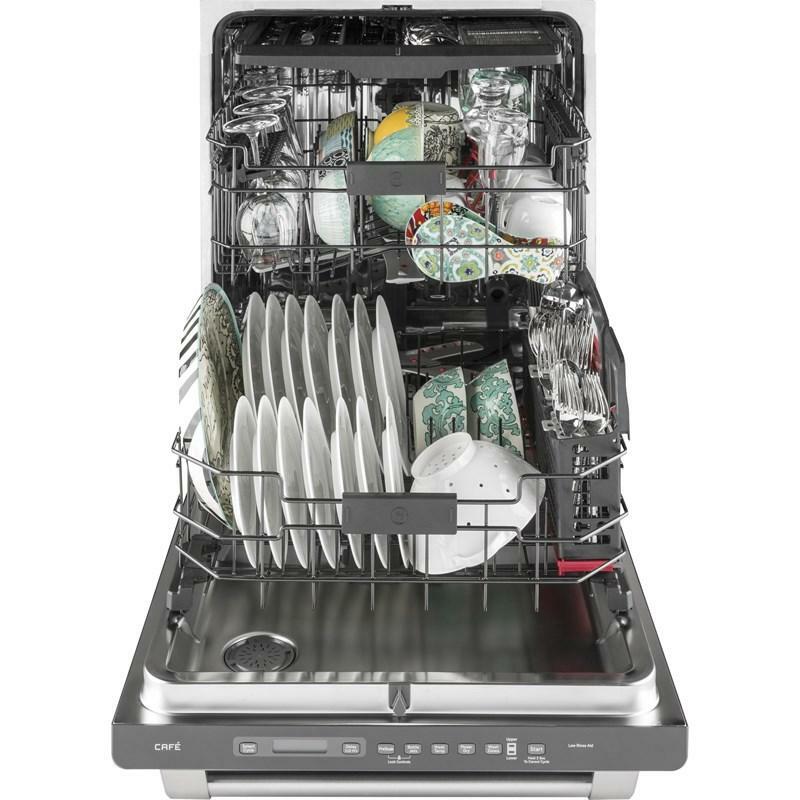 Delay Start Information 1-12 Hr. 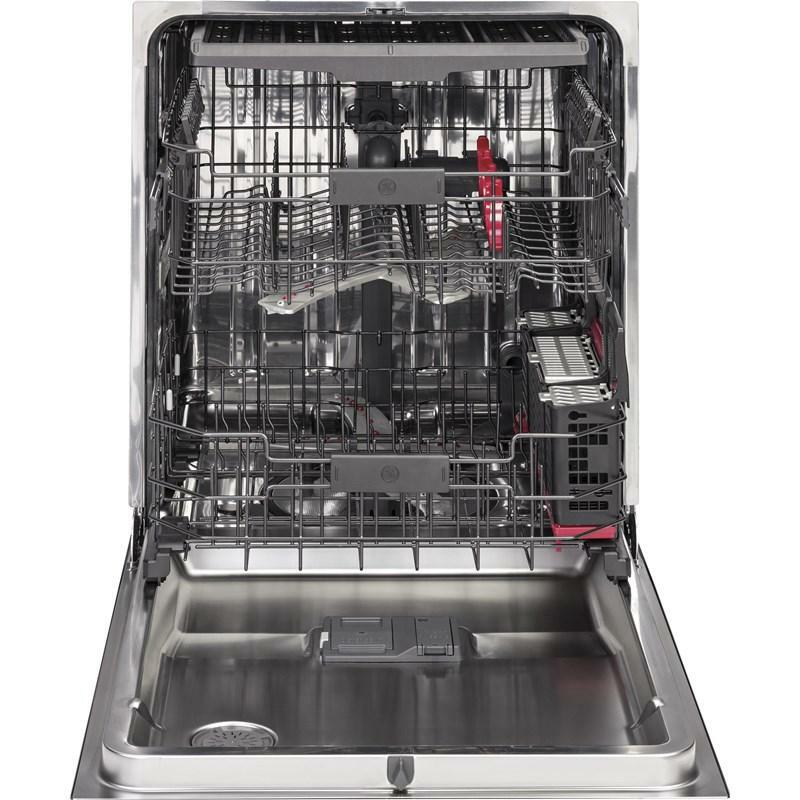 Additional Dimensions Height with legs extended - Maximum height: 34-5/8"